Happy black women are a bomb to the world. Make a test – if the black woman next to you is happy, everybody’s life get easier. 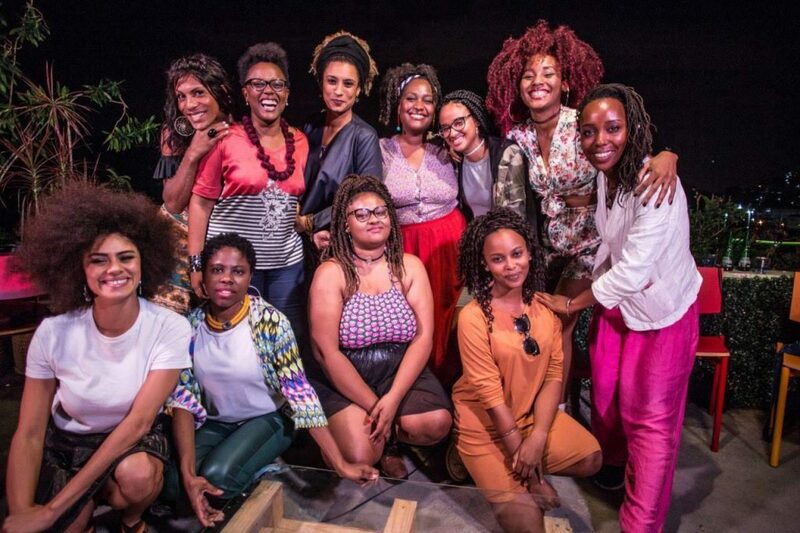 I have been celebrating the black people union recently in Rio a lot, specially of women. Being in the crowded Black Panther sessions, the black crew formed in 8M, or even in the collective victory that was the release of Querendo Assunto. That have been joyful and energizing days, that take us forward, that fill me with an winning will. But yesterday was not one of these days. Yesterday was a crying day. I want you to understand one thing: There is nothing more depressing than two black women crying and hugging. There isn’t, because we know where this crying comes from, we know the reason. There isn’t, because they birthed the world, that revolted against them and now filled them with nine gunshots. There isn’t because every black woman cries with guilt because we know there is no time for that. Today was Marielle. Tomorrow can be me. And after will be you. So deal with it, stand up, wake up, move forward. If you don’t know, I’m very pragmatic, even when emotional. When I heard – and checked, because everybody wanted her death to be fake news – I thought about what to do next. We need to make a notice, make a post, we need to show which side are we in and report an open air execution in a city of the size of Rio de Janeiro. Quick fingers on the keyboard, accurate, objective. But I needed to change my tab. I didn’t count with what happened on the course of my mouse. I’ve lost strength, languished, consumed myself in tears. 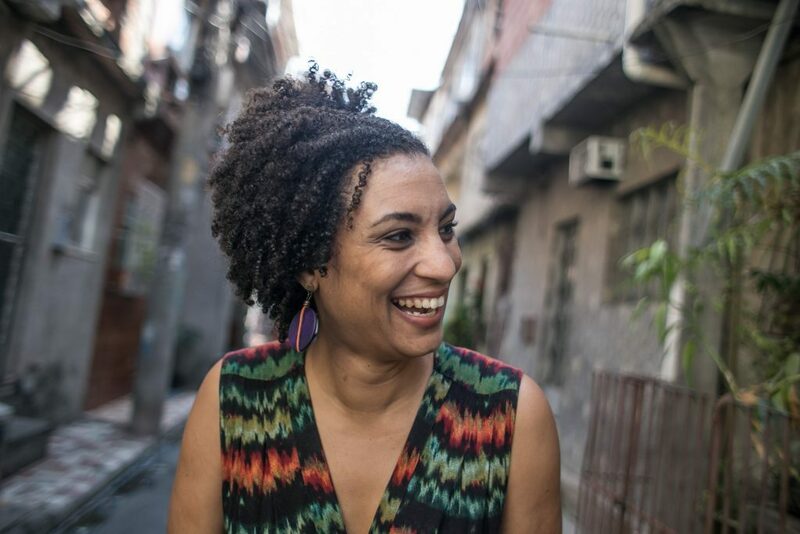 I was narrating that Brazil have lost one of the big references of feminist blackness, that the militancy have lost one big leadership, that Rio de Janeiro have lost one big (and most voted!) city councilor. But there I discovered that I was losing hope. One of the black NINJA girls, Leleca, noticed and gave me a hug. After that I got more care from Bianca. Later, Ana Paula holds me in the middle of the street and told me to remember breathing. 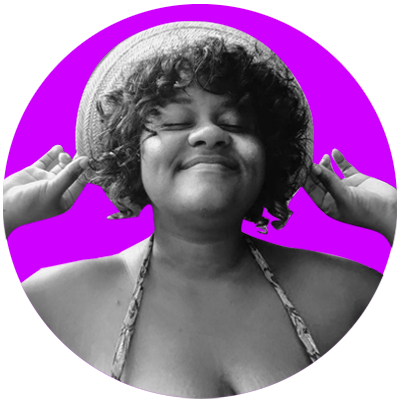 And during all this time I fed from distance of the vital energy of many others – Isis, Mari Ramires, Tainá. There, sunken on the body of other black women, I remembered the moments that Mídia NINJA history and mine crossed Mari’s. I remembered when we went hangout in the Maré Favela to record her profile in Vereadores Que Queremos, the tight hug after Pretas no Poder (Black Women in Power), the times that we’ve called each other so she could go to ELLA, the recommendation letter she wrote about me to a project that I participated in UN. In our partnerships, Marielle said me very few no’s,but besides that, Marielle told me all the ‘yes’. Sometimes I think that between a black woman and another there is a kingdom. A charmed land that is created between our arms, cultivated in our loves and seeded by our desires. Black women look at each other when crossing the street. We reconize the existence of each other and there is no stronger connection than ours. We scream together, dance together, we fight together. And yesterday we died together. When they raise a gun to Marielle, they raise a gun to all of us. When they shoot Marielle, they shoot all of us. When they killed her, they killed all of us. But when we all feel pain, we all react. Today, in the watch, in the marches, in her funeral, we will show that when so many black people cry together the world changes. It realigns. If the execution message was that a bisexual black woman, favelada, mother at 19 years old, funk fan, can’t have success, you wait and see. A thousand other Marielles will rise and honour her legacy. For the end of black people genocide. For the end of our territories militarization. For the end of our kingdom suffering.